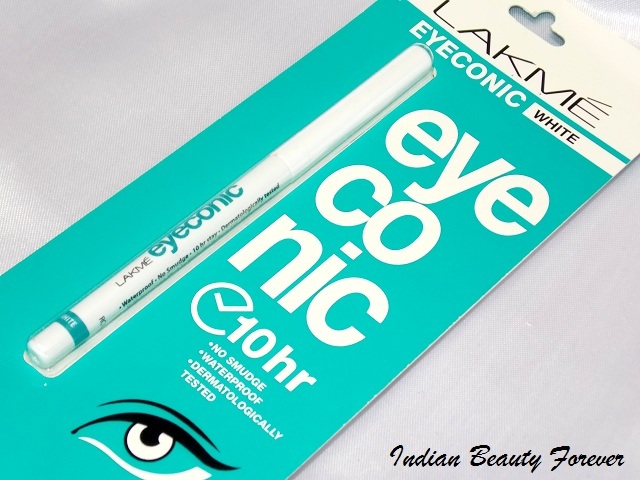 I will review Lakme Eyeconic kajal today in the shade white. 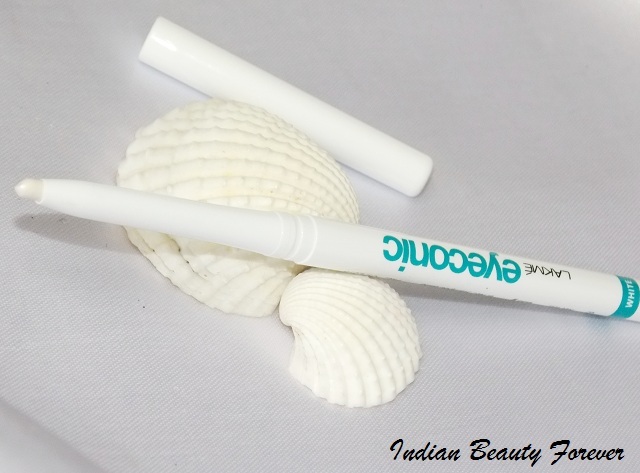 I still remember I was searching a white kajal for the waterline and also to use as the base an year ago then, I settled for Deborah milano white kajal which is okay but a tad not so creamy. Experience- I liked the white packaging with a sturdy cap. 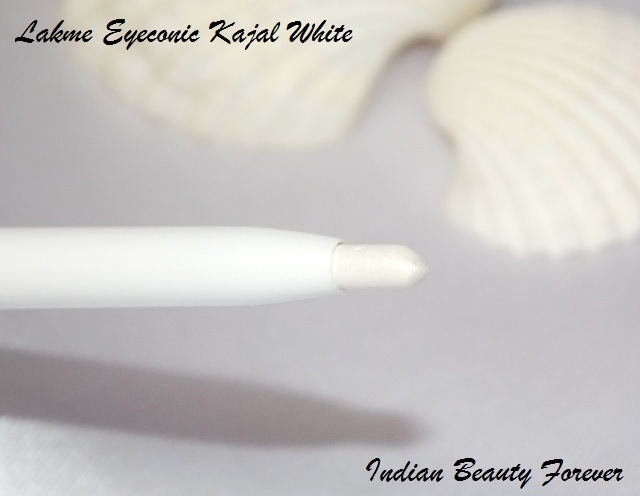 I was under the impression that it will be a matte white shade like most of such white kajal pencils but to my pleasant surprise it is a pearly white with fine micro shimmer that gives it a lovely subtle champagne like pearly white color. 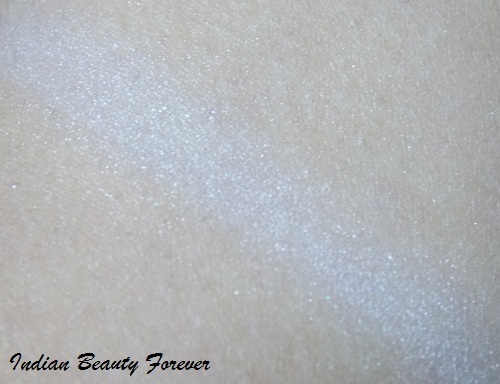 I realized this when I tried blending it in the inner corner of my eyes and the micro shimmers in it reflected light. 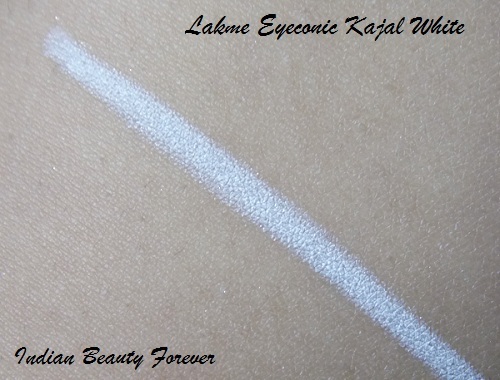 This Lakme white kajal has a smooth texture that glides beautifully and will not tug or pull just two swipes are enough for the complete intense looking white color But due to its soft texture, the lid becomes too soft that while I was using this it bended which I know can easily detach anytime if any further pressure is applied! It needs a little extra time then the green one to set and once it does, it will not become super smudge proof but yes, it will become something that will get fade but will not smudge, when you touch it, it may transfer faint impression but even after rubbing the swatch the boundaries will not diffuse, if you can understand what I mean by this. You can check the swatches to understand this better. 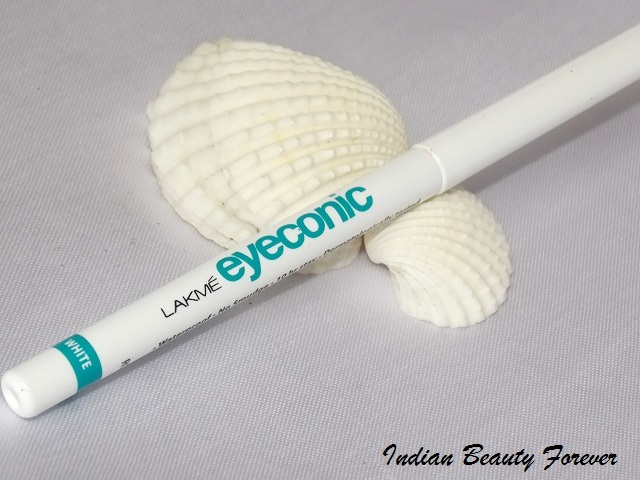 Now, if you want to use it as a kajal then let me tell you since it is a bold matte looking but pearly in reality, it will look good if you have fair skin tone and can give an illusion of bigger and wider eyes, making you look more awake, But at the same time if you have medium to dusky complexion then it may look out of the place, if used as a kajal, so as a substitute you may use a flesh colored kajal or pencils on the waterline for that bigger and wider eyes effect. 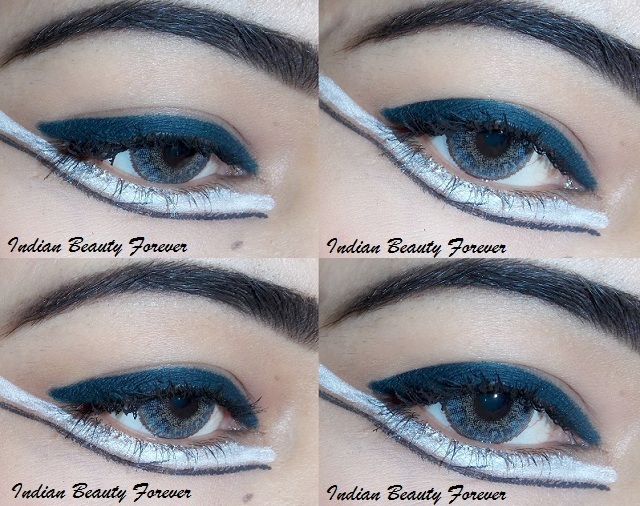 Apart from that everyone can use it to highlight the inner corners or as a base for the pastel colored eye shadows, regardless of the skin color! 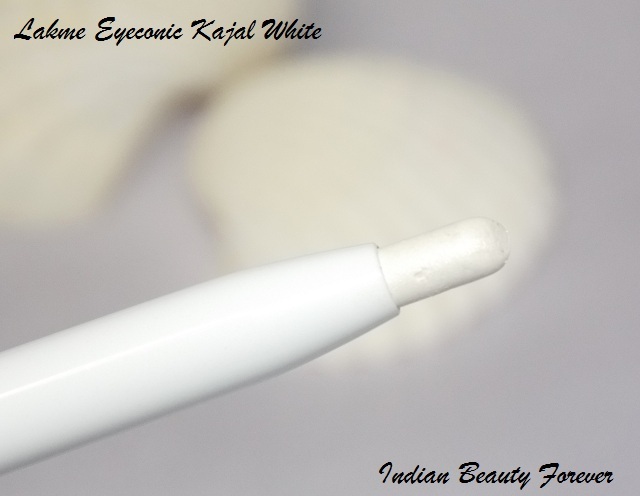 I have not face any allergies while or after wearing this white kajal. 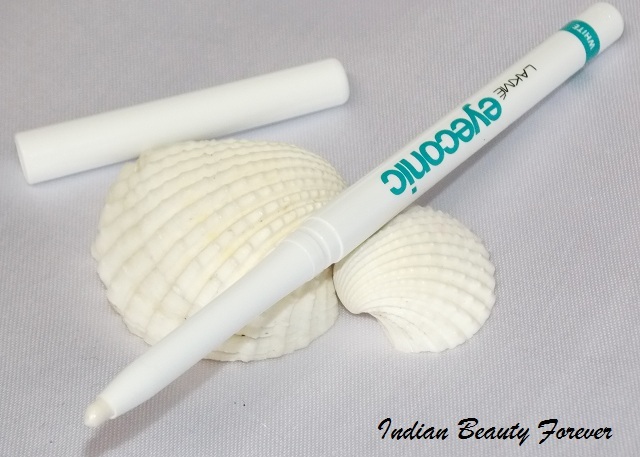 I really like the overall feel of these pencils they are creamy and glides like a dream, It's pearliness makes me like it even more! 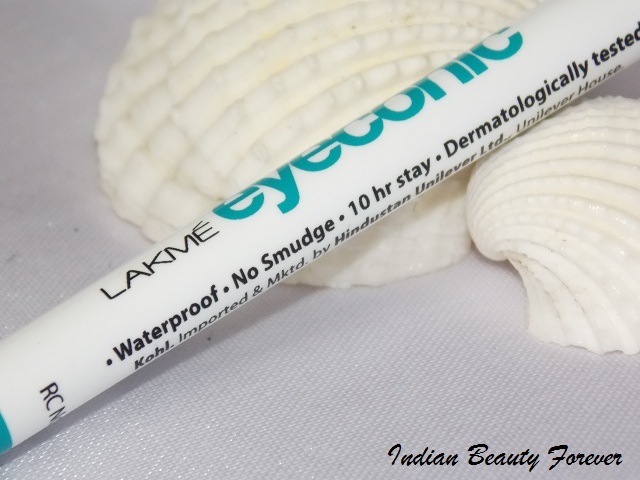 Take- Lakme eye conic White kajal has given an option for white kajal which glides effortlessly and can be used in many different way. 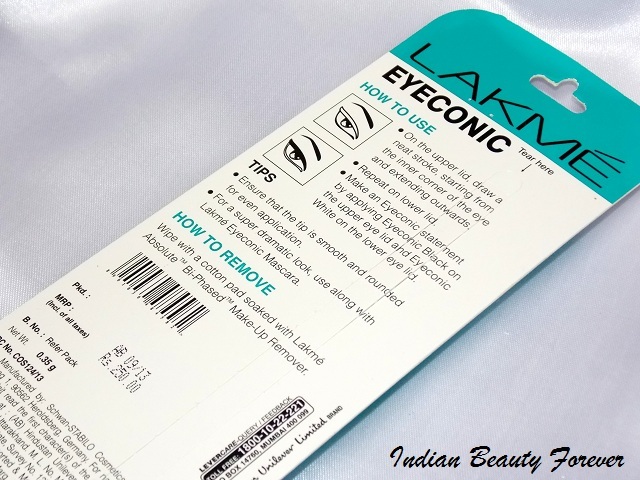 The lid is prone to pop out but for such a good product, I can overlook that point and would suggest you to use it carefully and with gentle strokes.